We ship our products within 24 hrs then you will receive your tracking details to your email address to track your items delivery. Please find shipping times for your country on our shipping page. We source products from all over the world to bring you epic offers and the lowest prices. We have factories in USA, Asia and Europe. This way we can send our products to you faster, so we send from the location that is closest to you via the most efficient route so you receive your items faster. Here to help you with any questions you might have! Have been with the Eleutheromania team since the beginning. What a night out! Decided to take them out for our group night out . It was a massive talking point and everyone that saw them commented on how amazing the masks looked! Even had a few people try and buy it off me on the night (no chance but I told them where to get one), they survived the night with no problems whatsoever and I can't wait to use it again! Brilliant and came just in time for the new year. Fits perfectly and very comfortable unlike other masks. Every one who seen it that night said how good it was and definitely if you what to stand out in a party or for an event then this is how you do that. Can't fault the mask. Definitely worth the money. Excellent quality. Fast shipping. Perfect looking forward to the weekend. Very cool mask I love it! Great quality it came it very fast!!! I was skeptical when purchasing at first because I didn't know what or how much to expect from an LED mask. 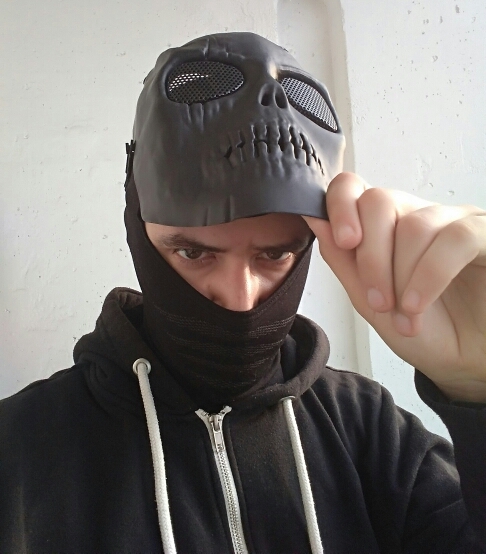 When the mask arrived and I first tried it on, it was so simple and easy to use while being extremely unique and downright cool. Mask is awesome! Getting some great photos you can check them out on my instagram @northborders. 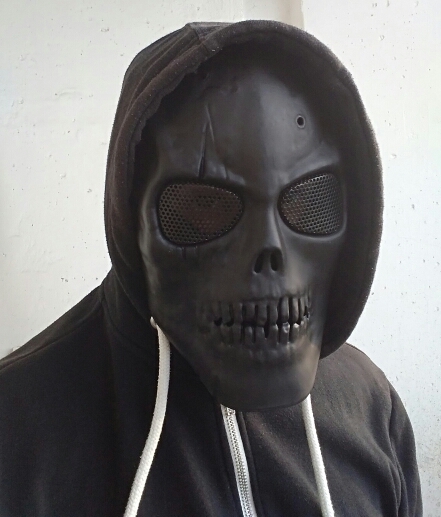 The lights are awesome and are a really cool concept, regarding how much effort has gone into designing the mask, the price I paid is very reasonable. The mask is great quality. Shipped quickly and efficiently. I am totally happy with this purchase and will buy another mask from these folks again! Fits perfectly and very comfortable unlike other masks. Every one who seen it that night said how good it was and definitely if you what to stand out in a party or new years then this is how you do that. Can't fault the mask. Definitely worth the money. Mask awesome, different light type, standard light, flashing light slow and fast blinking light. Love the mask. It fits, a bit, tight to my face, however, I am 6'2" tall and I weigh 230 lbs. In other words, it is a little snug on me and I'm above average in height and build (my hat size is 7 1/2 which is a rather large head). It isn't so tight that it feels uncomfortable. When lit up, the mask is as impressive (in person) as it is in the photos depicted on the web page. Well worth the money, in my opinion. I'm going to purchase another, soon. Very good seller and product. Very good seller and product. I received it nicely packed and protected. This in perfect condition and I arrived 3 days ahead of schedule. The product came the same description and flawless. The product came the same description and flawless. Great! The delivery arrived very fast! Like the description and working perfect. The delivery was super fast. These glasses are AWESOME!!!! Well made. 3 different settings for the LEDs: steady light, slow flashing or fast flashing. All can be easily controlled through a button on the battery pack. The LEDs glow very bright!! Shipping to Canada was extremely fast. I love these glasses and will definitely be ordering from this seller again!! I’ve bought a few masks and the quality of the lights and build quality of the mask are superb. Highly recommend them if you looking for cool pictures, video ideas or just want to play around with them. Ordered several times! Everytime received within 2 weeks. Perfect quality! And packaging too! We use encrypted SSL security to ensure that your credit/debit card information is 100% protected. © 2019 Eleutheromania. All rights reserved.